Samsung is all set to officially introduce it’s next flagship smartphone for the year 2019. 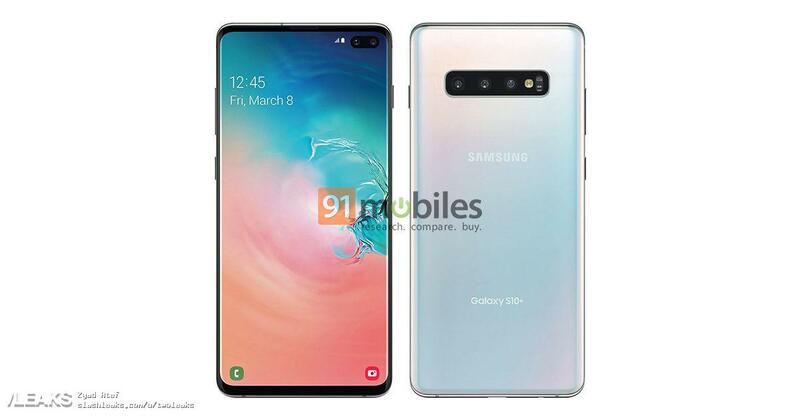 The next devices from Samsung will be called the Samsung Galaxy S10, Galaxy S10 Lite and the Galaxy S10+. The device now we are talking about is the Galaxy S10+. The device is leaked in some HD looking renders that seem to be somewhat official. As this is based on leaked render, please take with a pinch of salt.